Thatcher without the thatcherism? 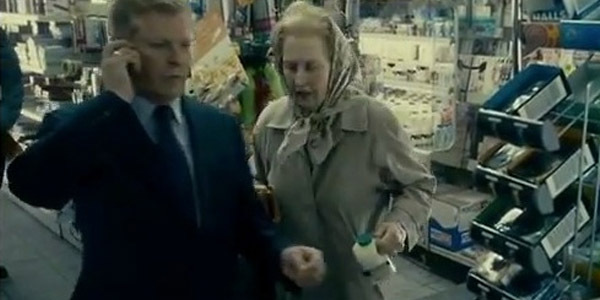 It’s been described thus but the thatcherism is actually right there in the opening scene as a pinstriped yuppie queue-jumps doddering Maggie at the corner shop. Meryl earns her oscar and maintains a tradition of wins for portrayals of the mentally wayward -. actually not for her overlarge impersonation of Thatcher so much as her transformation into an 80-something dementia sufferer, with due credit to the makeup department – this film’s other oscar.